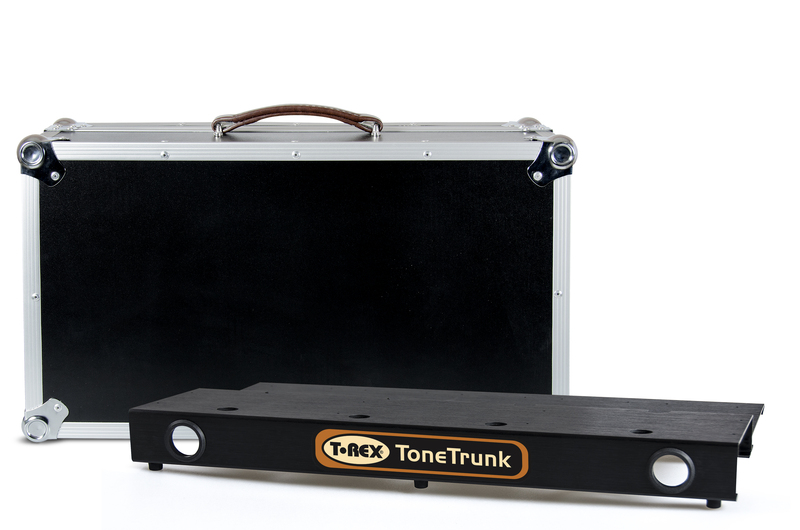 T-Rex ToneTrunk Road Cases are designed for players who require maximum protection for their pedalboards. 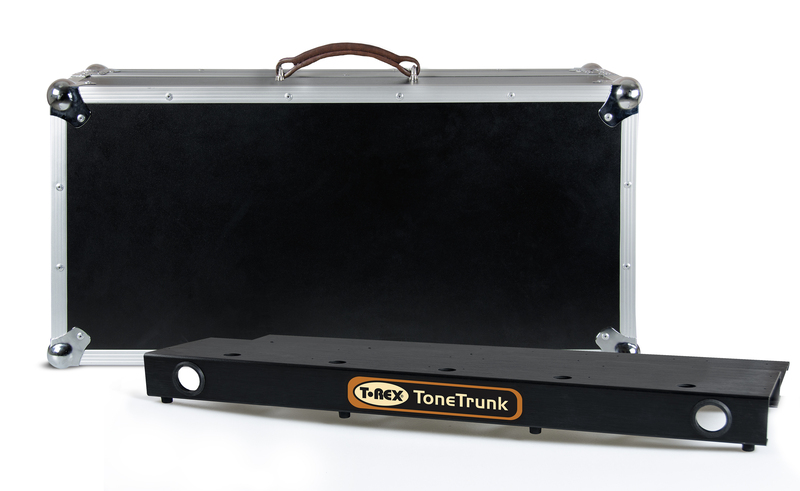 Rugged and sturdy, our Road Cases offer many of the benefits of a custom-made case at a more budget-friendly price. The design makes set-up/tear-down a breeze: just take off the lid, plug your cables in, and rock out! 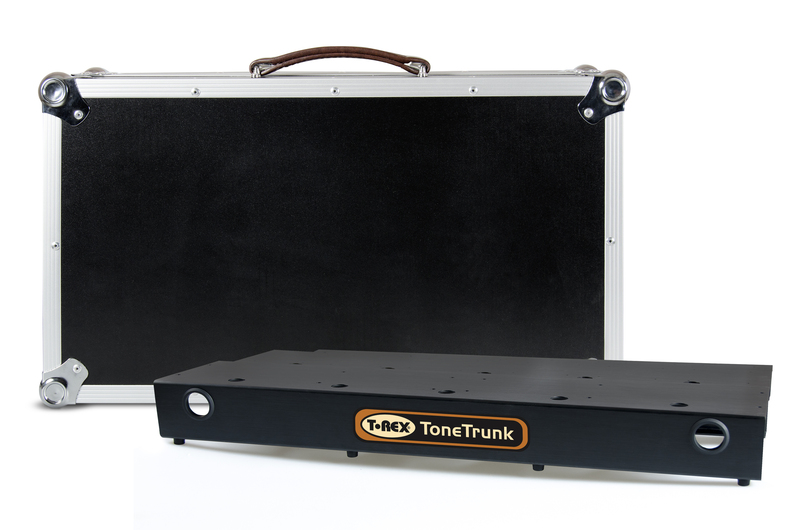 Or, if you prefer a lower board height, you can remove the ToneTrunk board (included) from the Road Case base and put it directly on the floor. The removable wooden panel in the base gives to you access to a convenient accessory storage compartment underneath – perfect for cables, strings, winders, tools, picks , etc. This makes the Road Case one big tool box containing everything you need on the gig. 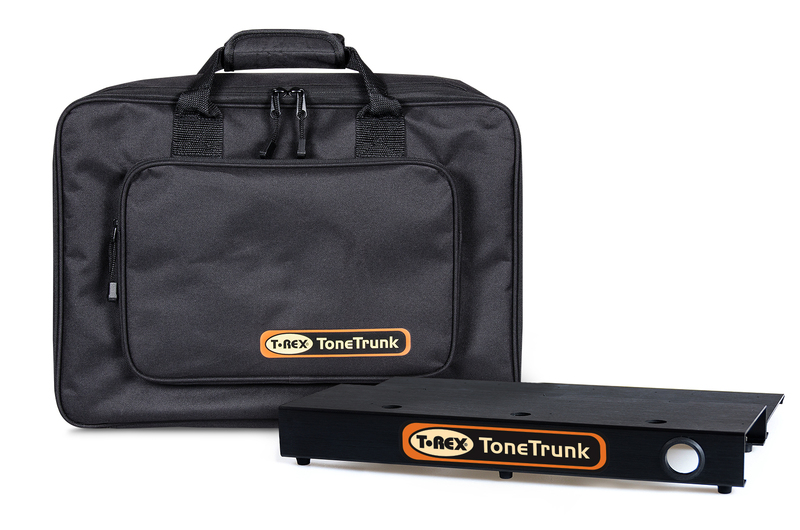 Each ToneTrunk Road Case includes one of our pedal boards, made from lightweight, durable aluminum. Our new boards feature a multi-tiered design – the most logical way to mount multiple rows of pedals on a board. No more reaching for a pedal in the back row and accidentally stomping the knobs on the pedal in front. Now you have easy access to every pedal on your board without the need for additional risers. 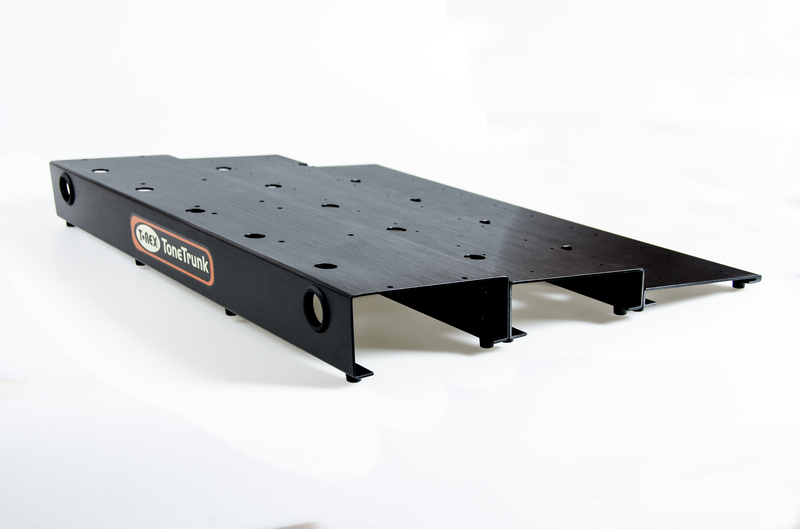 ToneTrunk pedal boards feature routing holes for patch cables and power cables, keeping the surface of your board neat and tidy. Each board includes hook-and-loop fastener for mounting your pedals. We don’t pre-mount the fastener to the board, so you get complete control over how and where you apply it.